PlayStation 4 UK price and release date confirmed | What Hi-Fi? Sony has confirmed the official release date of the PS4 as November 15th in the US and November 29th in Europe, at the previously announced price of £349. The news came at the Gamescom conference in Cologne. 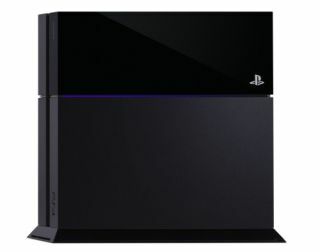 Sony Computer Entertainment President and CEO Andrew House also revealed that, worldwide, more than a million PlayStation 4 consoles have already been pre-ordered. Other announcements this evening included the fact that Music Unlimited through PS4 gets a new interface for quicker access to artists and tracks. You'll also be able to listen to music in the background while playing games and control playback through the DualShock controller. And the cross play feature, which lets you start a game on your living room PlayStation 4 and then continue it on a PS Vita via wi-fi, will be available on "nearly all" the console's titles. Sony will be entering broadband partnerships with specific providers, including Virgin Media – offering tailored gaming packages of up to 200Mbps, including dedicated parts of the broadband 'pipe' for gamers to use. In other news, the Sony PS3 and PS Vita both get a price cut to €199 (no confirmation of a UK price as yet). Sony has confirmed the PlayStation 4 will go on sale later this year for £349 - £80 cheaper than the new Xbox One. Sony also finally revealed the design of the new PlayStation 4, after a press conference back in February showed-off only basic PS4 specs and a hint of the release date. However, while Microsoft confirmed a more concrete release date for the Xbox One, Sony continued to keep it vague, merely confirming the PS4 would be out in time for the 'holidays', i.e. this Christmas. Having undercut the Xbox One price, Sony also took a swipe at Microsoft by confirming there would be no DRM restrictions on PS4 games - Xbox One games by contrast look set to be restricted in terms of your ability to share and sell second-hand games. The PS4 will also not require that you connect to the internet to authenticate games - the Xbox One demands you connect once every 24 hours to play games. Sony announced 140 PS4 games were in development, with around 100 set to launch in the PlayStation 4's first year. The E3 games expo in Los Angeles tends to focus on new games but this year both Microsoft and Sony have announced new, next-gen consoles, with both the new Xbox One and PS4 looking to be complete home entertainment solutions not just games consoles. Earlier at E3 Microsoft revealed more games for the new Xbox One, a price tag of £429 in the UK and confirmed it would launch in November. That price does also include Microsoft's Kinect motion controller. A new Xbox 360 was also announced, which goes on sale immediately. The Xbox One will be the first Xbox to include a Blu-ray drive for games and movies, and will also support 3D and 4K.